My trial and triumph, as well as that of others. 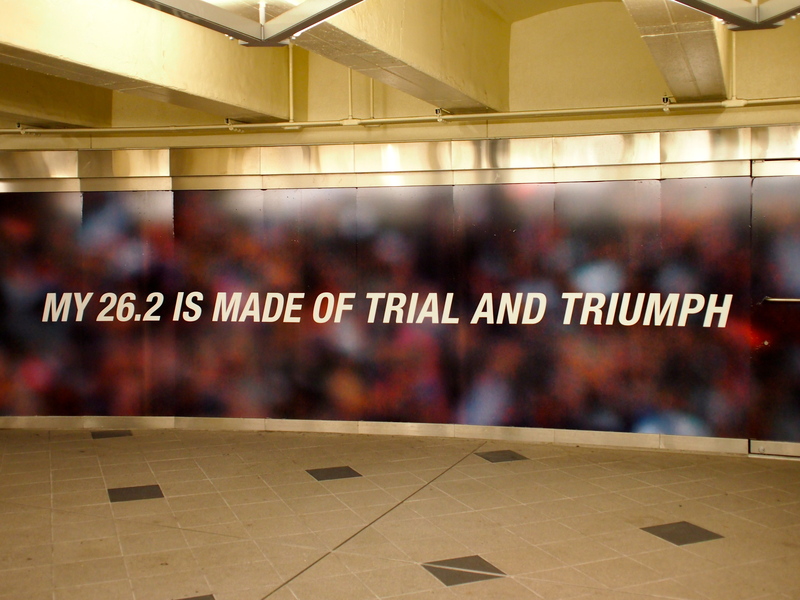 By now, we all know the 2012 New York City Marathon story. It became the “race that wasn’t” amid natural devastation and a dose of controversy. I admit my emotions have scaled a far-reaching range. They’ve been complex and shifting. But when November 4 came and went, I found the peace to say goodbye to this marathon chapter. More important than any race are the people still suffering and the damaged city neighborhoods. I can’t think of a more accurate word to describe this hurricane’s aftermath than “heartbreaking.” There has been so much loss. Undeniably, some much greater than others. When the NYC Marathon was still declared on, I made public my intention to run the race in support of New Yorkers recovering from devastation. I wanted to do something positive by raising relief funds and donating recovery supplies. With the race canceled, that goal hasn’t changed. Still, under the desire to help was this whispering trace of guilt for feeling a loss about the marathon. When a friend comforted me with these words – “Sadness is relative. Doesn’t make you less sensitive to others by feeling down about what happened to you too.” – I realized something important. The damage to NYC was beyond my power. The race being canceled was as well. These were events over which I had no control. What I do have, however, is an ability to choose my reaction to the situation. And this ability – this opportunity to say, “where can I go from here?” – is amazing. I choose to continue supporting hurricane recovery and I urge others to do the same. Also, I accept the fact I’m not willing to throw away months of hard work and my dream to Boston Qualify. I’ve registered for an alternate marathon at which I’ll leverage my training and go for my time goal. I am moving ahead with both efforts with equal determination. The Pensacola Marathon may be a polar opposite to the New York City Marathon in size, location, course support, etc. But, it’s still an official Boston Qualifying-course consisting of 26.2 miles. I may no longer have the advantage of friends and family spurring me on in person, but I still have 17 weeks of training on which to lean. If you care to virtually cheer me on come November 11, please consider donating a few dollars toward my Crowdrise page. All proceeds go directly to the Mayors Fund, which is aiding hurricane recovery efforts. I will be thinking of all your support – and the New Yorkers we can help – to get me through this race! When it hurts, I’ll dig deep knowing this chosen pain pales in comparison to the pain others have no choice but to burden. As runners, we take the turns as they come, we keep moving forward, and we encourage others to do the same. Love this! That BQ is yours for the taking! I think you have an amazing attitude about it. I was there with the natural food company I work for (Health Warrior) selling our chia bars at the expo, and the energy before the cancellation was so amazing. Post-cancellation, I could feel the heartbreak. I live in Richmond and the number of runners registered for the marathon here has increased materially, so I think a lot of people thought the same way you did. Good luck in Pensacola-you’ll do great! So excited for you! This is your race!! All your hard work and training will come to pass this weekend … you are more than ready!! I’ll be cheering you on from afar! !